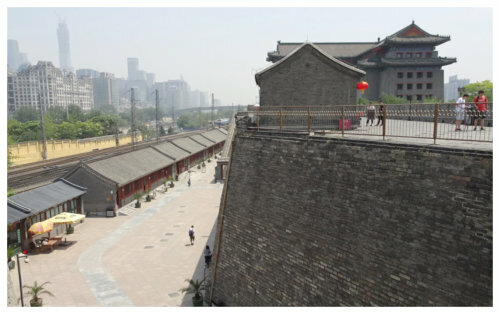 In the park is the longest remaining section of the inner city wall which was built in 1419 There is a 1.5 km (0.93 m) section of the Ming city wall and the Southeast Corner Tower, which are over 550 years old. It is surrounded by green park space with the main railway line running along one side. 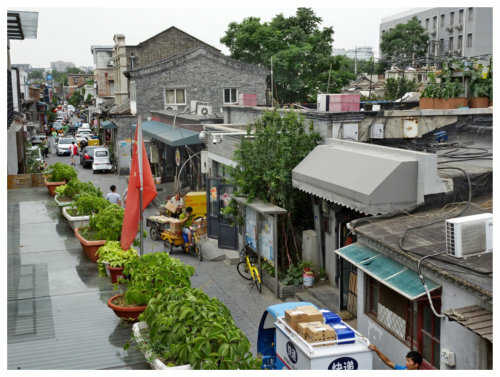 The Ming city walls stood for nearly 550 years until the early 1960s when most of the gates and walls were torn down to build the Beijing Subway, which runs underneath where the walls stood. Such a shame to tear down the old city walls. The corner tower houses the Red Gate Gallery which is well worth a visit. There is a fee to climb up onto the ramparts and visit the Corner Tower. 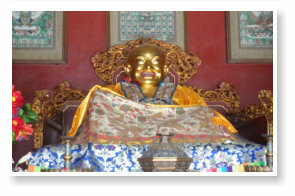 Translated as the Palace of Peace and Harmony it is also known as the Lama Temple. 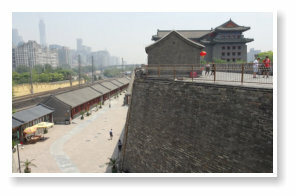 Built during the Quin Dynasty it was originally the official residence for court eunuchs. 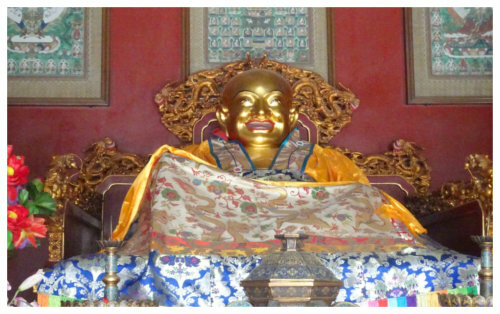 It was then converted into the residence of Prince Yong and when he ascended the throne as the Yong - zheng Emperor in 1722, half of the building was converted into a lamasery (a monastery) for monks of Tibetan Buddhism. The other half remained an imperial palace until his death. It is now a temple and monastery of the Gelug school of Tibetan Buddhism. 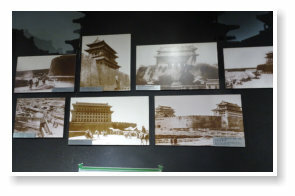 The very interesting building and artwork of the temple is a combination of Han Chinese and Tibetan styles. It is well worth a visit. 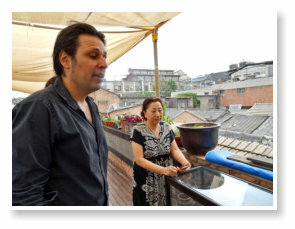 Beijing Postcards have formed friendships with several of the older generation who live in the hutongs in the Dashilan district and have created personalised books for a few of these people to tell the story of their lives. 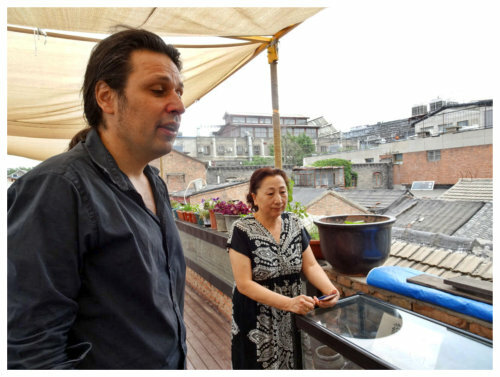 We were treated to a private talk by Lars Thom on the history and people of Liulichang and Dashilan followed by a walking tour of the hutongs to meet some of the older generation. 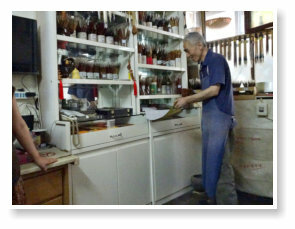 We met with a wonderful old man, Mr Hu, who used to employ 800 people making brushes. His company was taken by the government and he, alone, now makes brushes as he is the only person who knows all of the 200 processes. His son is not interested to learn the trade so the old man will be the last with the skill. 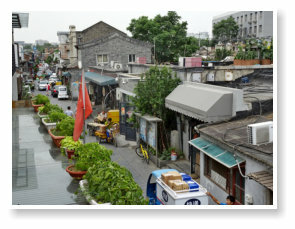 We met with a muslim lady, Miss Wang, whose family have lived in the same street for 21 gen - erations. 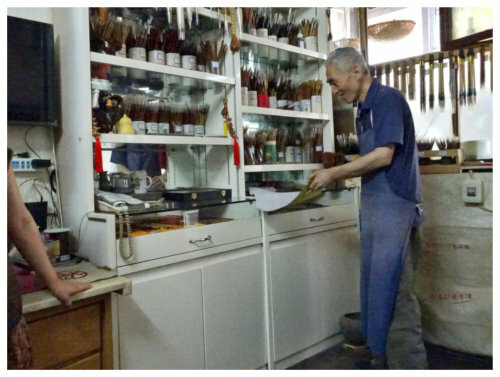 They owned a pharmacy business before it was taken by the government. They produced a medical treatment for which they still hold the patent. They have managed to get their house back from the government. We also heard the story of Mr Shi who was a Policeman. During the 1958 Great Leap Forward campaign by the Communist party he completed a feedback survey and, for speaking the truth, he was put in prison for 3 years then 7 years hard labour before spending the next 10 years under house arrest. 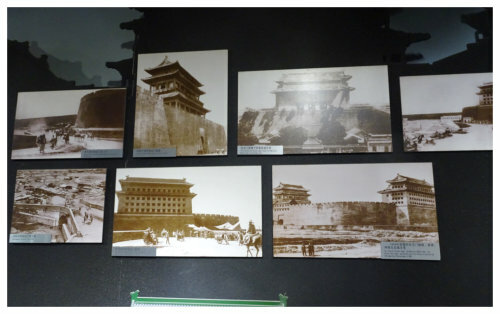 Beijing Postcards are interested in modern Chinese history, with an emphasis on the Dash - ilan district in Beijing. They collect maps, prints and photographs and use the materials to produce postcards, limited edition calendars, reproduction photos and bags.